Dishwashers save the hands of many from the hot waters necessary to clean and sanitize dishes. If you are seeking to add one of these dish-doer's best friends to your home, you will find two options at your disposal: hard wired and plug-in. Each of these options has distinct benefits and weaknesses. Before you select either you should weigh these and make the best choice for you and your kitchen. Dishwashers make short work of dirty dishes. Hard-wired dishwashers are often built into the counter space, taking up what would be cabinet space yet leaving more available floor space in the kitchen. 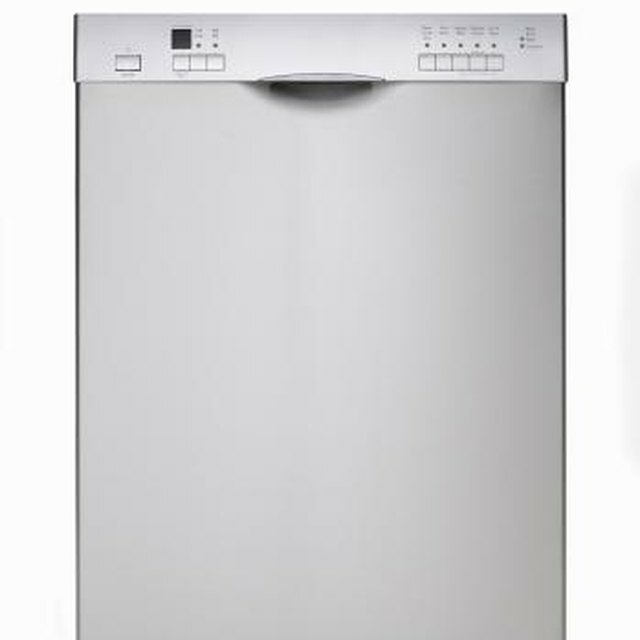 Because dishwashers of this type are wired directly into the household electric system, there is less risk that the circuit on which the dishwasher is placed will not be able to support the load. Particularly if the dishwasher wiring was a part of the home building process, the wiring is more likely to be capable of supporting the dishwasher's load, unlike a traditional outlet, which may struggle to support this power-hungry appliance. The primary benefit of a plug-in dishwasher is ease of installation. If your home was not built with wiring intended for a dishwasher, adding this writing after the home has been finished may prove challenging. With a plug-in option, you can add a dishwasher without investing in potentially costly rewiring. If you intend to take your dishwasher with you should you move, a plug-in option may also prove advantageous as it is more easily moved from one place to another without dealing with complex wiring. If your home was not built with wiring for a dishwasher, adding this wiring after the fact may prove difficult. Also, if the person installing the dishwasher is not skilled at wiring, he may improperly install the appliance as wiring a dishwasher is substantially more difficult than plugging one in. Any wiring mistakes could present a fire hazard. While some plug-in dishwashers are intended to fit in under-counter space and have the same aesthetic as a wired built-in, many of these models are portable, moving around the kitchen on wheels. Models of this type that don't fit under the counter can take up kitchen floor space, potentially making a petite kitchen appear even more cramped. Can You Convert a Plug-in Type Appliance to a Hard-Wired Fixture? Can You Hard Wire a Range Oven?